A hedge of hazel-nut bushes encircled the garden; but in the centre of the garden stood a rose-tree, and under it sat a snail--she had much within her, she had herself. 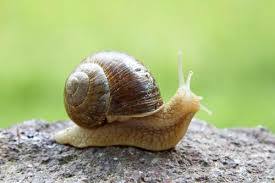 "I shall take my time," said the snail, "you are in too great a hurry, and when that is the case, how can one's expectations be fulfilled?" 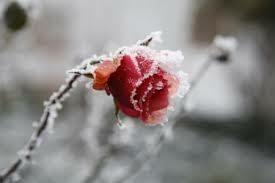 "Now you are an old rose bush," said the snail, "you will soon die away. You have given the world everything that you had in you; whether that be much or little is a question, upon which I have not time to reflect. But it is quite evident, that you have not done the slightest thing towards your inward development; otherwise I suppose that something different would have sprung from you. Can you answer this? You will soon be nothing but a stick! Can you understand what I say?" "No, I suppose that you have never meddled much with thinking! Can you tell me why you blossom? And how it withers? How? Why?" "But should we not all, here on earth, give the best part of us to others? Offer what we can!--It is true, that I have only given roses--but you? You who have received so much, what have you given to the world? What do you give her?" "What I have given? What I give? I spit upon her! She is good for nothing! I have nothing to do with her. Put forth roses, you can do no more! Let the hazel bushes bear nuts! Let the cows and sheep give milk; they have each their audience, I have mine within myself! I retire within myself, and there I remain. The world is nothing to me!" And years passed away. The snail became earth to earth and the rose-tree became earth to earth; the remembrances in the hymn-book were also blown away--but new rose-trees bloomed in the garden, new snails grew in the garden; they crept in their houses and spat.--The world is nothing to them. This kind of story is a fable. Where an animal is humanised and conveys a perspective to life. Gaining perspective is the sole purpose of life I think. It is all about gaining perspective in life and being ok with that...for every perspective leads us on a way much like "two roads diverged in a yellow wood". What a beautiful story..a bit too deep and perhaps has to be adapted for children.